The Women’s Football Alliance (WFA) is proud to announce a long established and championship team, the Carolina Phoenix, will join the WFA for the 2017 season. The Carolina Phoenix rose from the ashes in 2006 with 15 dedicated players and a coach who would not accept anything but their best. Ten years later, The Phoenix continues to pursue on field perfection to this day, never accepting excuses, as is stated in the Phoenix Prayer. 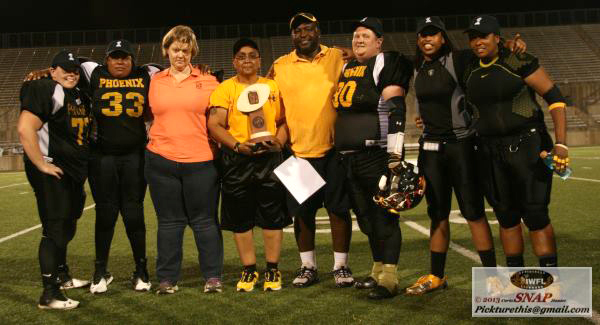 The Phoenix will begin their 11th season in the WFA, having recently won the IWFL Founders Bowl in 2016. No Replies to "The Carolina Phoenix join the WFA for 2017 Season"